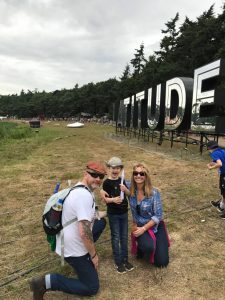 We spent a great weekend in the Norfolk Countryside 14 – 17 July this year at Latitude Festival. They had nets strung high up in the trees where kids got the chance to feel what it’s like to be a Greenpeace activist protecting the Forests. Our six year old son, Olly, wizzed down the zip line while we grabbed a fresh coffee in the Greenpeace cafe. We all had a go with the Virtual Reality headsets that took us into the heart of the Amazon rainforest and experienced what it’s like to live alongside the Munduruku People who reside along the Tapajós river. The Munduruku have fought to protect their territory for centuries, but a series of vast hydrodams being proposed threatens to destroy their homeland and everything that lives within it. Not cool.